It’s important to set the historical record straight: George Washington did not grow marijuana. He grew hemp for industrial purposes like rope and clothing, as did many other founding fathers and colonists. 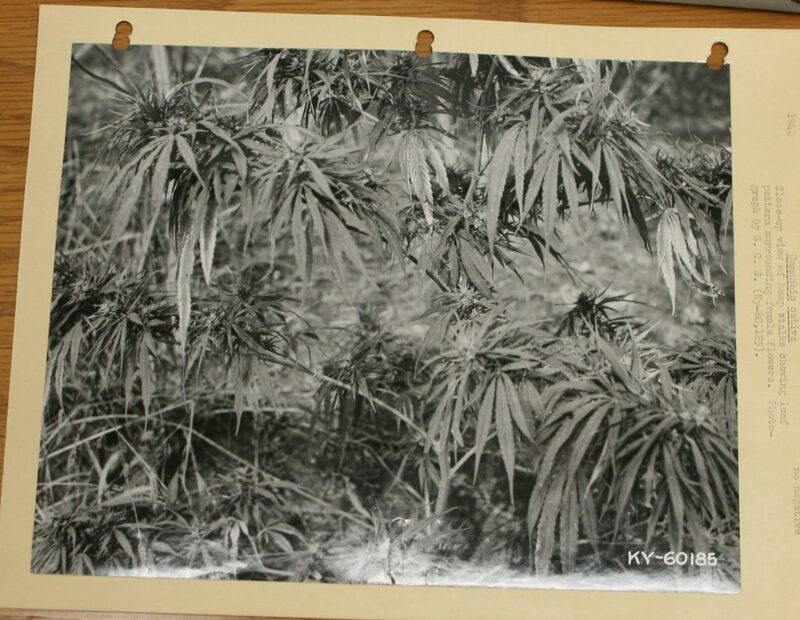 But, his hemp may have been a little different than our hemp. Unlike the hemp that was grown back in American colonies and up through World War II, modern American hemp must meet a very specific standard. It must contain less than 0.3% THC, or it will be confiscated and likely destroyed by the government. Can you imagine the DEA seizing Washington’s crop? If he were growing the same plants today, it’s very possible that they would (many Cannabis varieties historically grown as hemp test with THC levels above 0.3%, even though they are way below the average marijuana levels of 5-10%). We talked with Marcus Grignon in a previous blog about how the DEA raided sovereign Menominee land to destroy their hemp plants based on dubious testing. We have seen plants destroyed in other parts of the country for testing just above the 0.3% limit. Farmers in Colorado were devastated to have their crops test high in THC at harvest this year. The testing methods and conditions are not uniform, adding even more uncertainty for these pioneering farmers. So, even while the laws loosen around hemp, the burgeoning industry is being beset by zealous policing based on an arbitrary legal definition and testing methods. The 0.3% number comes from a 1973 article that tried to create a “practical and natural taxonomy” for Cannabis. The authors were not trying to set a legal standard. They were trying to cut through long-standing scientific feuds about the classification of Cannabis to establish some common definitions. Indeed, the question of what exactly Cannabis is has never been a straightforward one. distribution seems to have been rather limited until humans came along in the upper-Paleolithic period (between 50,000-10,000 years ago) and began to spread the plant everywhere they went, this is when things get complicated, as different varieties of the plant began to develop independently across the globe. Over millennia, Cannabis became an important plant in cultures across the world, being used for medicinal, religious, subsistence and industrial purposes under a variety of different names. Some varieties of the plant were cultivated for fiber, some for the THC in the flower, and others grew as weeds across uninhabited plains. In modern era, as scientists have begun to classify and create laws and standards around hemp and marijuana, this enormous diversity of Cannabis has created problems. When Carl Linnaeus first classified Cannabis in 1753, he only named the one variety: Cannabis sativa. But in 1785 another biologist came along, Jean-Baptiste Lamarck, who said that another Cannabis species existed based on samples from India: Cannabis indica. This marked the beginning of a veritable war amongst biologists that still rages today. Are there multiple species of Cannabis plants, and if so, what differentiates them? How is hemp classified in this whole scheme? Those who are familiar with the marijuana industry (or even just have a friend who uses recreationally), have likely heard the words sativa and indica in their conversations about the drug. Marijuana is often sold under names like “Purple Kush” and “Acapulco Gold,” which supposedly have different psychotropic and physical effects on the user, depending on whether they are indica or sativa. Sativa strains are supposedly high in CBD and low in THC and indica strains are the opposite. But, this classification system can be rather misleading, and says very little about the actual chemical or taxonomical variations in different Cannabis plants. The original, scientific, differentiations between sativa and indica (and other species that came along later in the Cannabis name-game) were based on characteristics like the shape of their leaves and flowers, and not their cannabinoid content. Under this classification system, all hemp plants (those grown for industrial, rather than drug, purposes) were assumed to be Cannabis sativa. But these early classifications based on physical characteristics have been criticized. With recent technology and access to plant samples from across the world, scientists have been able to nail down more firmly, on a biological level, what’s going on with the different strains and/or species of Cannabis. In a recent study with Indiana University, Karl W. Hillig grew 157 different Cannabis plants from various geographical regions in order to determine whether there was a true genetic, morphological, and biochemical variation between different plants. The study found good evidence to suggest at least two separate Cannabis species, sativa and indica (and possibly a third, ruderalis). However, the study did not concur with previous assumptions about hemp. The study found that there were hemp varieties (Cannabis grown for industrial purposes) in both indica and sativa categories. This suggests that hemp is not just a very-low THC variety of Cannabis sativa. In fact, another study of 124 Cannabis plants found that hemp varieties had significant genetic differentiation from marijuana strains, but that that they generally had more in common with marijuana strains labeled indica. Hemp, it seems, defies a clear taxonomical definition. This brings us back to the 1973 article. In the absence of a clear definition for Cannabis based on leaf size or genetics, why not create a ‘practical and natural’ definition based on THC content? That’s what the authors did, but it’s time for an update. In an instructional booklet for hemp farmers released in 2015 by the Colorado Agricultural Department, they write that if at least “one plant or part of plants contains THC on a dry weight basis of more than 0.3% THC” then it can be seized and destroyed. The booklet goes on to say that a “result of greater than 1.0% THC may be provided to law enforcement.” Why would there be such a large discrepancy between the legal limit for hemp and what is considered criminal? Because the Colorado authorities understand well that simple environmental factors are enough to change the THC content of a Cannabis plant, like pushing it from 0.27% to 0.31%, and that plants containing 0.9% or even more would still be rather hard to use as a drug. As Small and Marcus write in their recent, peer-reviewed study that a “level of about 1% THC is considered the threshold for marijuana to have intoxicating potential.” They note that some countries, like Australia and Switzerland, recognize this and actually have higher thresholds for industrial hemp. These same scientists, Small and Marcus, tested 167 different hemp varieties from Europe and found that 43% of them had THC levels that were 0.3% or higher (most of which fell far below the 1% mark). In short: there is a large variety of hemp plants that have historically been used for industrial purposes, but are now illegal for use in most countries because of an arbitrary legal definition. 0.3% THC may have been a practical definition in the era of marijuana and hemp prohibition in North America. But in an era where states are legalizing the growth of both, and where the hemp industry is offering spectacular opportunities for small farmers, industrial manufacturers, scientists and consumers, we need a new standard. There are many ways to change the standard, including: pushing the THC threshold closer to 1%, which still couldn’t get anyone high. Or, if a plant tests too high, destroy its leaves and flowers, but not the stalk (which is significantly lower in THC content), which could still be sold by the farmer. When a small farmer takes a chance on a new crop like hemp, it’s not a great incentive to have the federal government breathing down their neck, ready to seize their plants for a tenth of a percentage point measurement taken in a completely non standardized manner. We should have common sense regulations that make it easy and safe for farmers to grow hemp. Canada is already taking steps in this direction by limiting the varieties of hemp that actually have to be tested for THC. The fact of the matter is, hemp and marijuana are varieties of the same plant, and there will likely never be an entirely clear, straight line between the two. Rather than coming up with arbitrary definitions and steep regulations, we should do limited testing and trust our American farmers to grow a crop that has a deep history in this land. We should stop letting the fear of a single drug (that is rapidly being decriminalized itself) stifle a very needed industry. George Washington spoke HIGHLY of “Indian Hemp” (indica), saying it is “more valuable than the common hemp” and he made mention in his diary of separating the males from the females. No other reason to separate them than for higher THC content!